With power comes responsibility, so when Rittz got his deal with the independent powerhouse Strange Music, he knew there were going to be some new challenges. As it turns out, one of those challenges turned out to be a blessing in disguise. 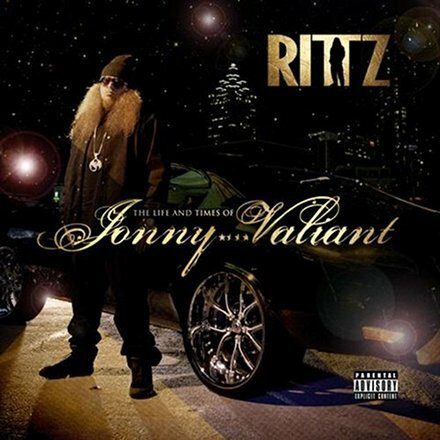 In this very informative interview with The Smoking Section, Rittz reveals how Strange Music’s system of deadlines would change change the way Rittz wrote and recorded The Life And Times Of Jonny Valiant. Before signing to Strang, Rittz was able to take his time and sit on beats for as long as he liked. The rigors of the structure that Strange Music had to offer presented a completely new challenge, and therefore, a new set of rules. TSS: So what song do you think actually benefited from that quick-turnaround approach? Were there any that really surprised you? The way I work is I stack up the beats in my email and then I put a photo next to the ones that I really like. I’ll have potential ideas for them already, you know, some kind of melody or topic or this is a “girl” song or that song. You know, and then I stack them all up and get them together and then I go right to that stack when I feel it’s time to write. So with the Lifted track, “For Real”, I actually got the beat and just wrote it as soon as I got it, which I never do. TSS: Well it just seemed like you just went in and killed it. Rittz: Yeah, yeah. And that’s what I did. That’s what I did with a lot of these, man. It’s weird, I totally don’t write like that. I mean, I definitely racked my brain a bit during a lot of the songs. But for a while–and it sounds stupid because I’m a rapper and I’m supposed to be able to rap–I was like really proud of myself. Thinking ‘Man, you’re really knocking songs out on this album.’ So yeah. I’m happy with it. The interview also covers Rittz’s musical upbringing (including what it was like to work with his dad on the album), his tightly-knit working relationship with DJ Burn One, his friendship with Yelawolf, and much, much more. Props to The Smoking Section for covering so much ground in this piece.